On one of the wettest days of the year, and with the River Exe in Exeter in full flood, the LX team travelled long distances for the game at Exeter University, with the resolve to achieve a win against one of the strongest oppositions which the LX Club annually encounter. Under leaden skies, it was encouraging to see the LX team for once quickly settling down with controlled passing in a 4-4-2 formation against WCS in their smart new West Regional kit. It was not long before LX began attacks on the WCS goal, and Paddy Maher (LXer) together with Maurice Williams (LXer) were soon in action. Richard Slator, with his excellent stick skills and fitness, was at the heart of the LX attacks, and from one of his goal-bound attempts, which was saved, Pami Bolina (already having played for the LX Red team v Isca Over 50s), slammed in an unstoppable shot to give LX the lead. Shortly afterwards prospective LX Club new member, David Bain, passed to the irrepressible Trevor Denison, whose shot was again just kept out, but Peter Ross, who had an excellent game on the left of midfield, followed up to score from the rebound to make the score 2-0. John Tripp at right outside midfield was throughout the game strongly resolute with his tackling and distribution, and this quickly led to a fine ‘goal’ from Trevor Denison, which unfortunately was disallowed. After half-time WCS responded with some splendid attacks, as Adrian Money (Team Manager for WCS) varied his team. Both Jon Marshall and Steve Cooke (WCS) had almost certain goals saved by Barry Sewell with excellent handstops. Steve Branston, John Longden and Sudesh Nayar combined to repel these early attacks, which enabled the LX team to press forward overall as a team, and a third goal was scored by Trevor Denison, following a precise pull-back pass from Pami Bolina. The final goal for LX came in the final two minutes, when a well-aimed pass from deep in the LX defence, found Pami on the edge of the WCS circle, who controlled the ball well, and scored, to give LX a 4-0 win. The Isca Clubhouse was the usual venue for some fine hospitality, and both LX Club Captains very warmly thanked the Isca Club. The LX Club team thanked Mike Harris and his team for the excellent meal, and also the Umpires, Bob Whitell (LXer) and Ian Davis, who officiated. Adrian Money added his thanks and indicated that next year the WCS team will probably be organised by the proposed new LX Club member David Bain. Bill Goodridge reminded all LX members present that it is intended that two LX team attend the Centenary celebrations of the Isca Club at Exeter on the weekend of 22nd/23rd June 2013. 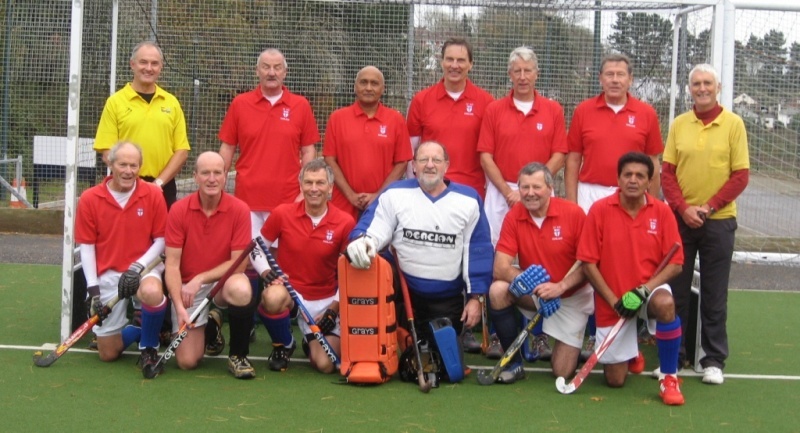 LX team:- Barry Sewell (GK), Steve Branston, David G. Read (Captain), John Longden, Sudesh Nayar, John Tripp, Richard Slator, David Bain, Peter Ross, Pami Bolina, Trevor Denison.